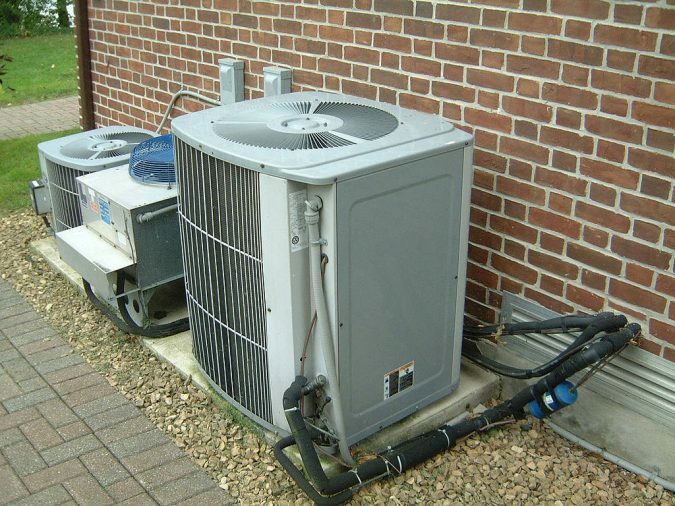 Water leaking is one of the most common issues that the air conditioner users face. The good thing is that the homeowner could fix the majority of these leaks. But despite the simplicity of their repairs, ignoring even the small leakages could bring more massive problems. 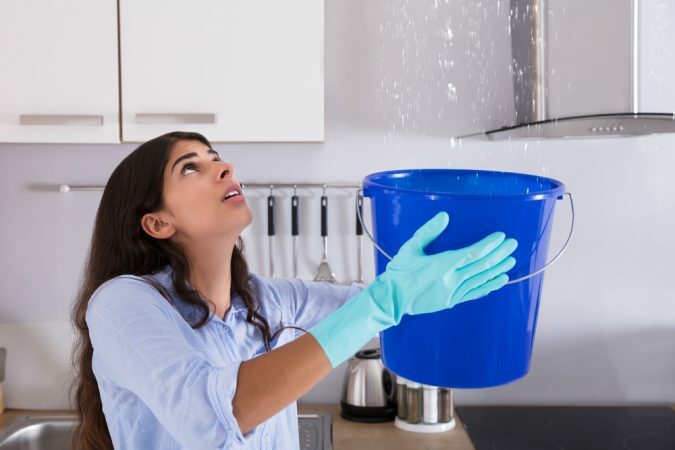 Following are fast repairs for leaking central air conditioning systems, but first let’s find out more about how water forms inside the air conditioners, and why they usually produce condensation? The condensation, or droplets of water, in other words, results from a central function of the air conditioners which is dehumidifying the air. The refrigerant inside the evaporator coils within the AC unit absorbs heat as well as moist from the air pulled into the unit and inside the blower. 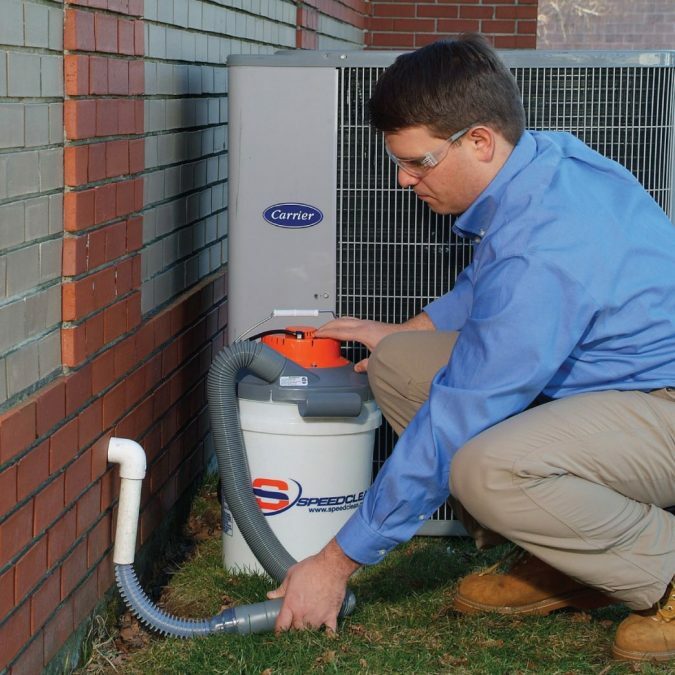 When the cooling cycle finishes, the moisture or droplets collected on the coils fall into the condensate pan, then moves to a condensate drain line which ends outside the home or into the plumbing. How the condensation system leads to water leaking? 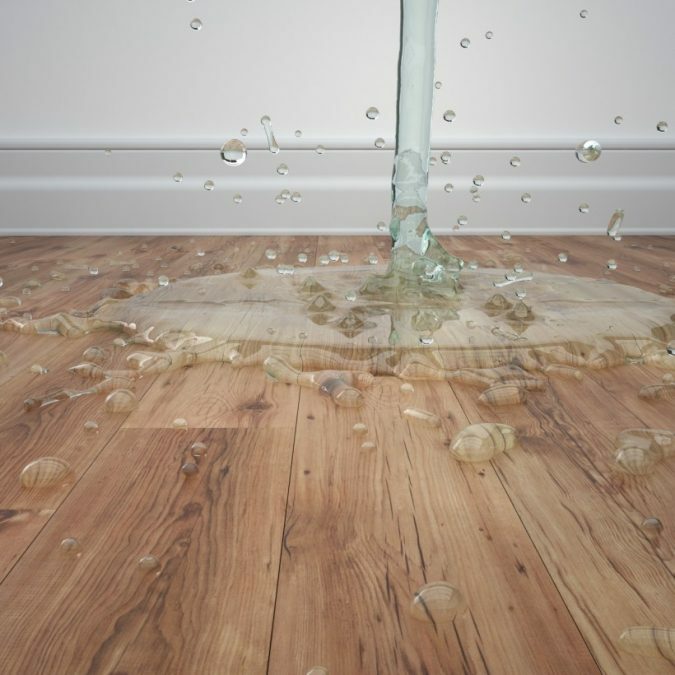 Water leaking occurs inside the home when there is a problem with any of the parts involved with the condensation process. The reason could be a clog in the condensate drain line, rusty pierced drain pan, damaged float switch, or a broken condensate pump. 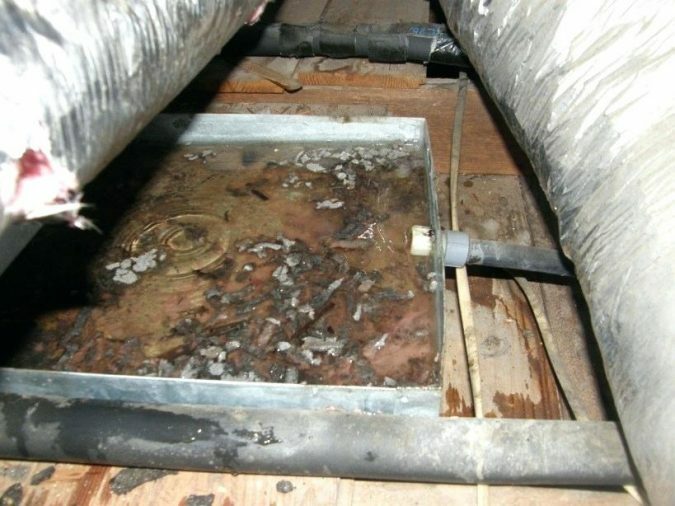 Besides, a dirty evaporator coil forms a primary cause of a clogging drain line; the water mixed with dirt would fall into the pan and clog the drain line. Therefore, cleaning the coil annually is a smart preventive measure that reduces the possibility of water leaking. Now, let’s move to quick repairs of current water leaking. The first step before initiating any repair or troubleshooting is to turn off the air conditioner to prevent any damage the water could cause to the electronic components of the AC. Plus it would stop the leaking water from drowning your place. Then, start troubleshooting to find the faulty part and repair it. The stopped-up condensate drain line is the most common reason for air conditioners water leaking. The drain line clogs due to the accumulation of dirt and bacteria inside it. When the line is plugged, the condensation water returns and floods the condensate pan. To unclog the line use a wet-dry vacuum or a hand pump to pull the dirt and clean the lines. First, locate the AC drain line outside the home. Then, attach the end of the vacuum or pump to the drain line and turn it on. It would be a lot better if you don’t wait for the problem to happen. Clean the AC drain line regularly. Then pour a little chlorine bleach or vinegar inside it to eliminate the slime, algae, mildew, and bacteria. It’s advisable to do it every four months. 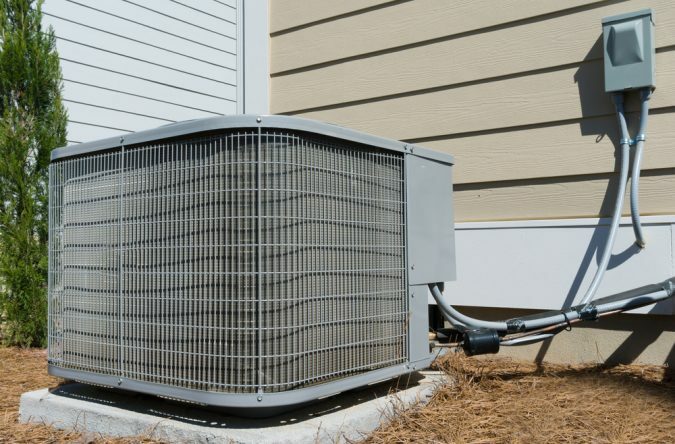 Air conditioners usually comprise two pans: a fixed one below the indoor air handler where the evaporator coil is, and a removable one under the AC unit. With a torch, check the drain pans. 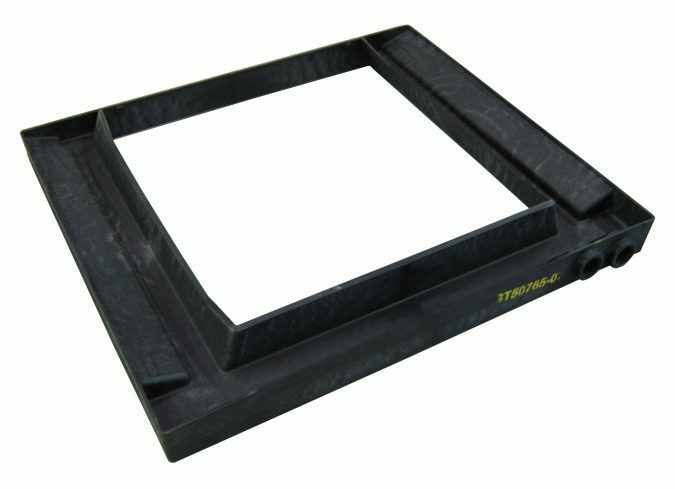 It’s better to replace a cracked tray. You could install a new auxiliary pan yourself, but it demands an expert, such as AC Repair Lakewood, to replace the fixed pan. If you’re looking for a quick temporary solution, clean the pan with a wet-dry cloth and use water sealant. 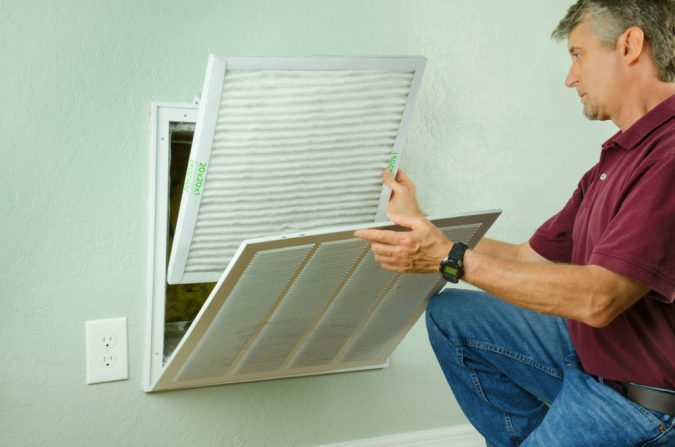 If you neglect to replace the air filter regularly, dirt will clog it. 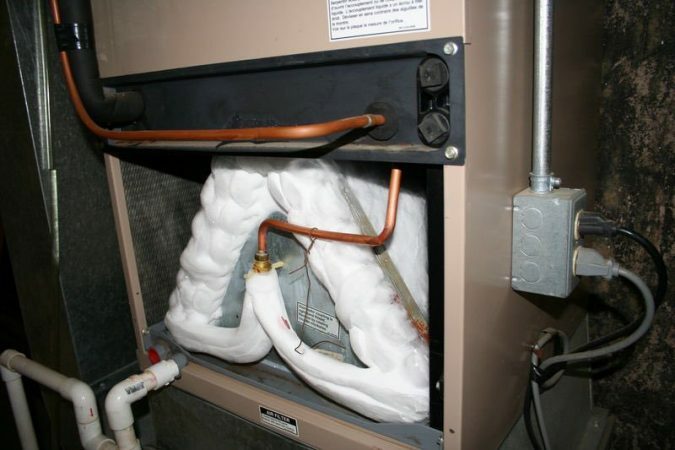 A clogged filter causes the formation of ice on the evaporator coils of the unit. Air filters are designed to work effectively for a period that ranges from one to two months; after that, they need to be replaced. 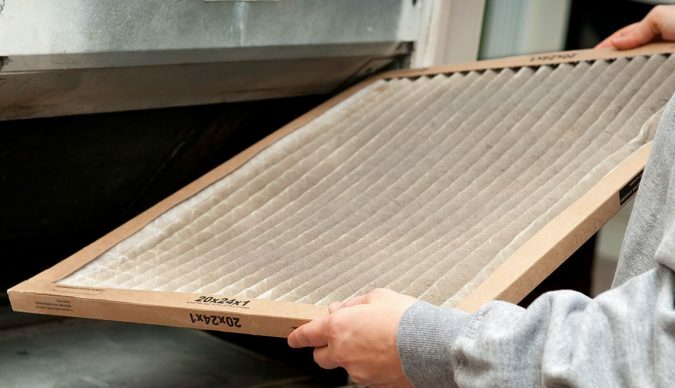 In summer, it’s recommended to inspect your AC filter monthly; the extensive use of the air conditioners in the hot season makes the air filters get dirty rapidly. 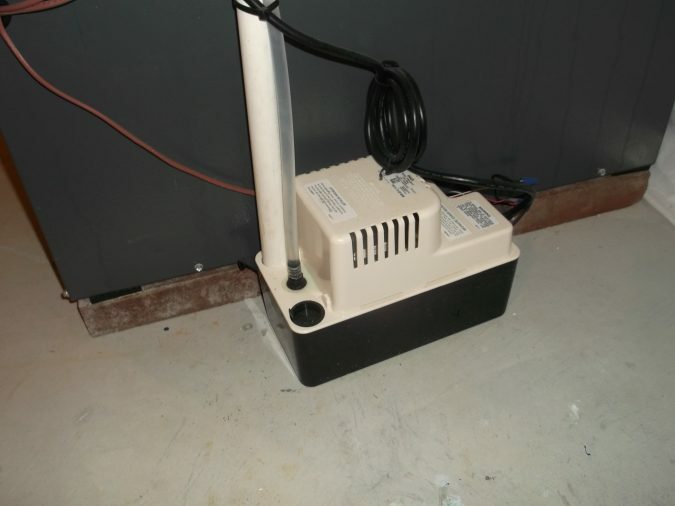 Some AC systems require pumps if installed in low areas such as the basements. These pumps push the water resulted from the condensation up into the drain line, then outside the home. A broken pump demands a replacement as it will stop the pumping of water out. After the tray gets filled with water, the leakage will take place. 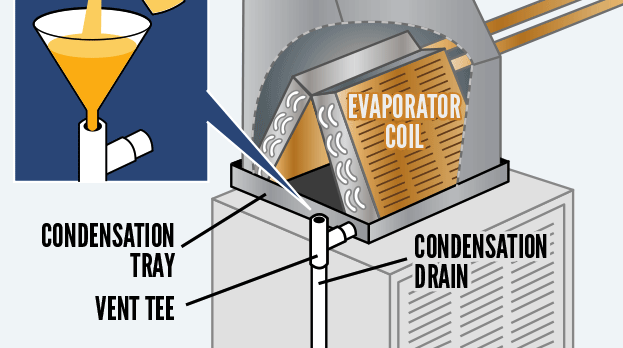 Frozen evaporator coils could cause water leakage. 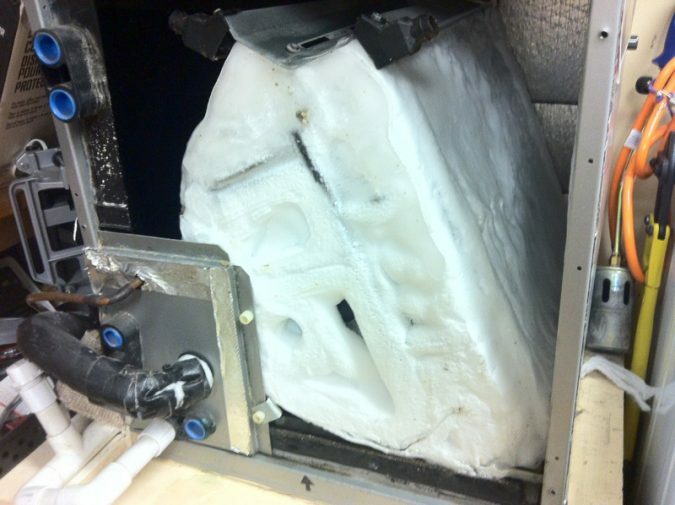 Two factors are possible to create the freezing more than others: dirty air filters which we have mentioned how to deal with, and low refrigerant. Both of them cause the temperature to drop below freezing which turns the coil a lot colder than the normal. Dealing with a low refrigerant demands an AC technician, but defrosting the evaporator coil is something you can do yourself. Turn off the air conditioner, then change the blower settings from “auto” to “on” which will allow the fan to melt the ice slowly without the water overflowing from the pan. 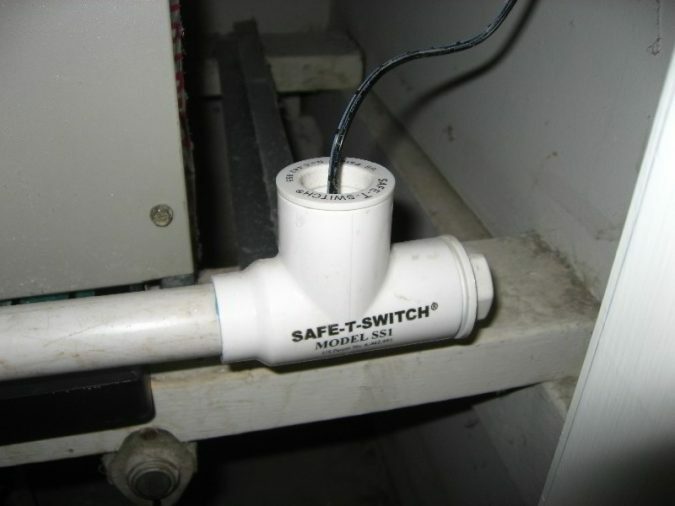 If your AC unit is equipped with a float switch, it should prevent water leaks. However, it is only an alarming tool which means its damage is not the cause of the leaking; it only foresees the leakage happening and prevents it. 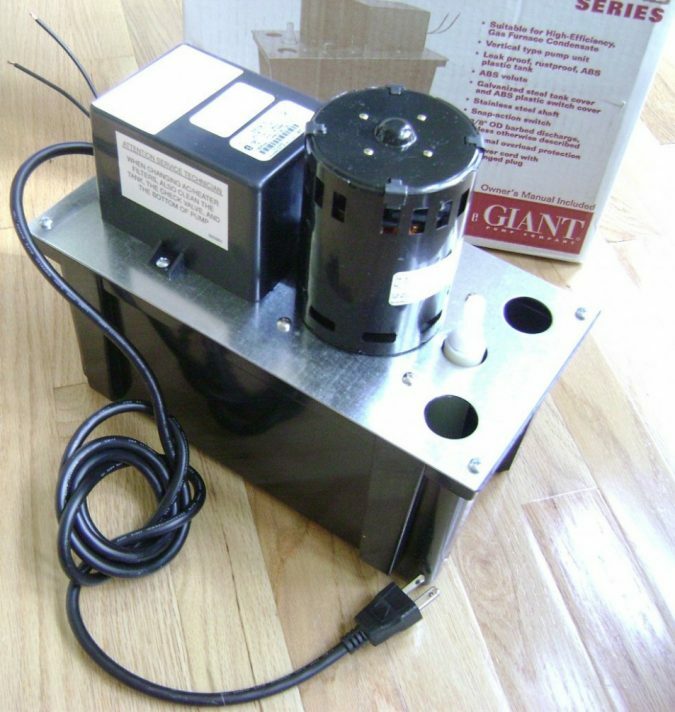 When the water level gets high in the condensate tray, a valve in the switch rises, or “floats”, up causing the air conditioner unit to turn off. This doesn’t solve the problem, but the float switch prevents the overflowed pan from creating a mess inside the home until you fix the problem. So, if a leaking occurred, it means the floating switch needs replacement. Air conditioners are high-maintenance units that demand you to be alert to even the small changes in their performance because they might refer to more severe issues. The same thing goes for water leaking; don’t ignore a leaking AC no matter how small it is. Plus, educate yourself about the AC system you have, and about how to choose a qualified AC contractor to be ready whenever you need one.